Nanotac silane nanotechnology is a reactive bonding technology. 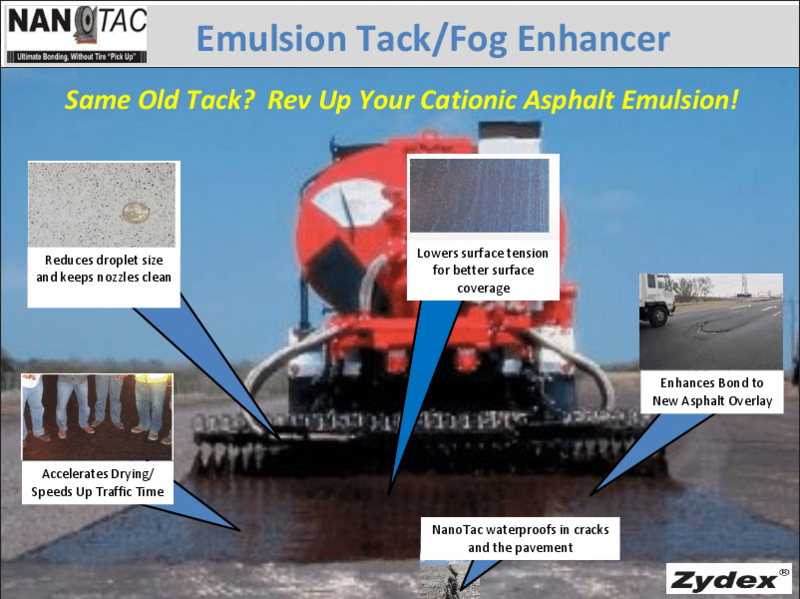 It forms alkyl siloxane (Si-O-Si) bonds to create asphalt loving aggregate surface and ensure trackless tack coat using water based cationic bitumen emulsion.This study was sponsored by Zydex to show the benefits of chemically enhanced tack with Nanotac. The following study sponsored by Zydex to show the benefits of chemically enhanced tack with Nanotac.